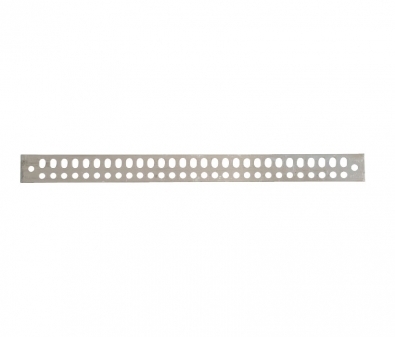 2" x 24" Tin Plated Copper Ground Bar with 58 Holes. Meets BICSI and J-STD-607-A Requirements for Network Systems Grounding Applications. Assembly can be installed as Telecommunications Grounding Busbar (TGB). Suitable for Indoor and Outdoor Installations.